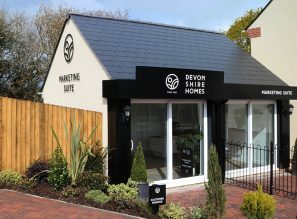 House hunters in North Devon now have the opportunity to take a peek inside Devonshire Homes’ first brand new show home at its Mazzard View site. 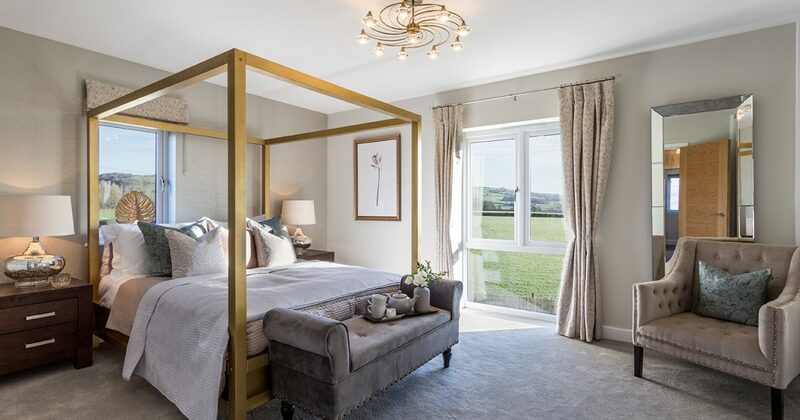 The local independent housebuilder is giving potential home owners the chance to see for themselves what the homes at Mazzard View will ultimately look like. Located in the popular village of Landkey, the four bedroom Morris house type is now open for house seekers to look around. Stepping out of the cold and through the front door, house seekers will be greeted by a spacious hallway leading to the living room on the right. Featuring a large bay window and an abundance of space, this room has a light and airy feel to it which the whole family can relax in. Also at the front of the house is the study, a perfect space to focus in, and a cloakroom which provides plenty of storage for shoes and coats. The open plan kitchen / dining area is truly impressive and will inevitably become the heart of the home. Finished to a high specification with stylish fixtures and fittings, the kitchen makes for a pleasant place to whip up a delicious meal in. The dining area looks out onto the rear garden allowing potential home owners to enjoy watching the sun rise as they eat their breakfast. Adding the finishing touch to the ground floor is the handy utility room, keeping large white goods out of the way to provide even more space in the kitchen. Four roomy bedrooms and a family bathroom can be discovered upstairs. The luxury master suite boasts a spacious en suite and full width fitted wardrobes. Jane continued: “As Mazzard View is under construction, the opening of the show home gives people the perfect opportunity to really see what one of our homes looks and feels like, rather than only having the floor plan to look at. I’d encourage all aspiring home owners to come and visit Mazzard View to see an example of the high specification homes we build and talk to our Sales Executives who will be pleased to give you more information on the other house types available as well”. Mazzard View is a collection of two, three, four and five bedroom homes located in the popular village of Landkey. 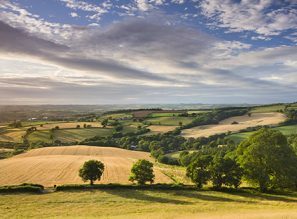 Surrounded by beautiful North Devon countryside, the village is less than three miles from the centre of Barnstaple and has an excellent primary school, a locally-run store and a Post Office.